The Samsung Galaxy S6 is the latest and currently the greatest smartphone, according to our best phones list, but it's sold out in some stores worldwide. 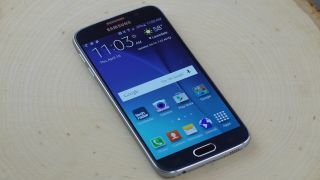 The reason the S6 and the Galaxy S6 Edge are hard to find is simple: Samsung says that demand is "much higher" than it had initially planned, according to Reuters. "Although there may be some difficulties for the short term, we will do our utmost to secure enough supply for our global consumers," Samsung told the wire service. US carrier Verizon, for example, has the April 10-released smartphone backordered until an "estimated" April 21. And that's just when it ships. Samsung hasn't released official Galaxy S6 sales numbers, but it is expected to reach the 10 million sales mark by May 6, reports the Korea Times. The flagship smartphone and that phone's curvier cousin released more gusto and bigger changes than the underwhelming Samsung Galaxy S5 update. That's good news for Samsung, as buyers had plenty of other new electronics to consider on April 10, including the HTC One M9, Apple Watch and new MacBook. We will have more news on the Samsung Galaxy S6 sales as soon as the South Korean company makes the official figures available.